The sleeve is front laminated & remains in lovely condition with minimal signs of edge wear, all print is clearly legible. The spine has flattened over time but still looks the part, the colours are still rich & unblemished. As mentioned this in the mono sleeve with the 'NSPL' catalogue number over sticker attached. There is some laminate lift along the spine on the front but has no tears or splits & intact internal flipback. This is about as good as you will ever see, all in all a spectacular condition cover. The light powder blue Pye labels show only the very faintest of spindle marks to indicate play. The heavyweight vinyl itself is incredibly clean, remaining easily in excellent condition with only the faintest signs of tracking to indicate play. It's a stunner! To play safe, we'll call it excellent as there are some signs that it has been played, but not many. For the audiophiles among you that actually love to play their records, you're on to a winner here. This copy is completely on the right side of excellent making this is a very attractive deal indeed. A one owner copy of an alltime classic sixties recording! 02. Do You Remember Walter? 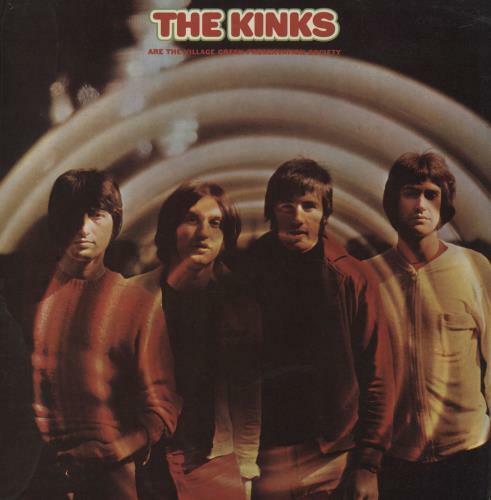 Product Information The Kinks Are The Village Green Preservation Society UK vinyl LP album (LP record).